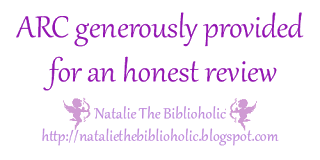 ARC Review: Scored by Sloane Howell | The Biblioholic ~ Read more. Sleep less. I’ve read pretty much everything I could get my hands on from this author. Not only can he write, but his online personality is charming, funny and approachable, which comes out loud and clear in his work. To date, my favorite book of his was The Matriarch, but now… my new favorite is Scored. This book was brilliant. It was hilarious, romantic, and although I don’t personally know any baseball players, I am friends with a few professional athletes (football and basketball players), so I found this story to be pseudo-realistic. Ever since I read Bossed, I knew that Matt and Kelsey were going to get it on. I was so excited to find out how their story would play out. I’m beyond impressed. Matt knew that he wanted Kelsey. He was even willing to admit that she was his forever. Kelsey was a bit hesitant, but Matt’s persistence, charm, and naturally good personality slowly but surely won her over. However, their happily ever after hit a huge snag. Matt might not be around for long as he was a free agent, with an offer to leave his home team for millions upon millions of cold hard cash. It’s a tempting offer, because he could do so much with that money for the charities that are close to his heart. So where does Kelsey fit in to this decision? Again, I loved this story. Absolutely, positively loved it. This was, in my opinion, Sloane’s best work by far. I can’t wait to see what he’s going to give us next. If you haven’t had the privilege of experiencing his writing, I can’t recommend this book enough. You most definitely won’t regret it!